Dr Matthew Grant, a senior lecturer in history has secured a research grant from the British Academy to explore the experiences of former volunteers and is looking for up to 30 individuals to interview. 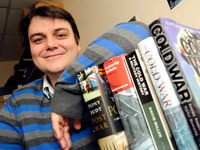 Dr Matthew Grant, senior lecturer in history. Half-a-million people joined the UK’s Civil Defence Service Volunteer Group, set up after the Second World War. The Group, which also included the Auxiliary Fire Service, was established in 1949 to help protect the country in the event of World War III. It was disbanded in 1968 by the Wilson Labour government due to financial constraints. Until now the experiences of those who chose to join the Group have never been recorded. Dr Grant said: 'This was a really big group of people joining over a 20-year period, half-a-million people is a significant collective act of voluntary action. Most people now don’t even know this organisation existed. It’s an aspect of British history that’s been forgotten, yet hundreds of thousands of people stepped forward and put their time and effort into this group. 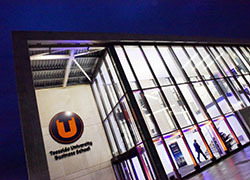 Contact Dr Grant Interested former volunteers can contact Dr Grant by emailing him at m.grant@tees.ac.uk, call 01642 384075 or write to him at the University’s School of Arts & Media, Teesside University, Middlesbrough, Tees Valley TS1 3BA. 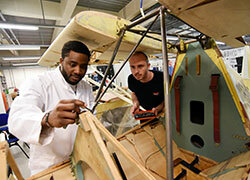 The research results will appear in an academic article to be published in 2012. 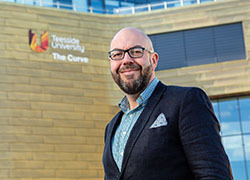 Matthew Grant, Senior Lecturer in History at Teesside University, is seeking Cold War-era volunteers to take part in a new research project. Dr Matthew Grant, of Teesside University, is seeking volunteers for an oral history project on civil defence in the Cold War.